NARI/PASIGHAT, Feb 4: Chief Minister Pema Khandu assured the people of Lower Siang that the issue of the location of the district’s headquarters will be resolved in the coming days. 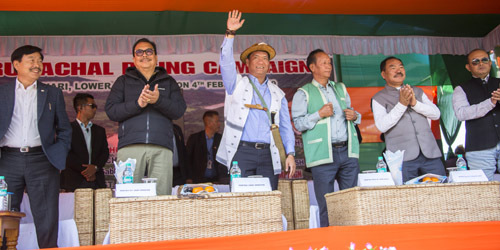 He said this while launching the third leg of the ‘Arunachal Rising’ campaign in Nari on Monday. The CM also assured that he would lay the foundation for a new district secretariat, and that infrastructure works for setting up the district headquarters would be taken up this year. On digital connectivity, Pema said the Centre has sanctioned Rs 1700 crore for the state but the work has been held up due to litigation issues in the Supreme Court. He added, however, that the matter has been taken up with the Centre to resolve it with urgency. The chief minister, who was accompanied by DCM Chowna Mein and MLAs Kento Rina, Kaling Moyong, Tatung Jamoh, PD Sona and Olom Panyang, expressed happiness at the clarity people have started having on the government’s flagship programmes. “In the past, even many elected representatives didn’t know about the important central schemes and such information was holed up somewhere,” said the chief minister. He commended the Lower Siang administration for carrying out 15 Sarkar Aapke Dwar camps in the district and reaching out to more than 44,000 beneficiaries. 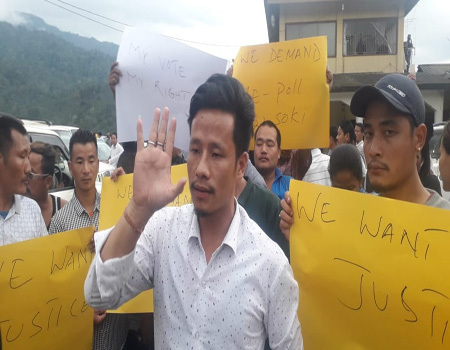 Responding to a public memorandum, Pema promised to sanction fund for construction of an intra-district road from new Sirem circle to Koyu circle. Later, attending a meeting with heads of departments and other government officers in East Siang district HQ Pasighat on Monday, Pema expressed his intention to empower the institution of the deputy commissioner and give more roles to officers to decide on matters of development. 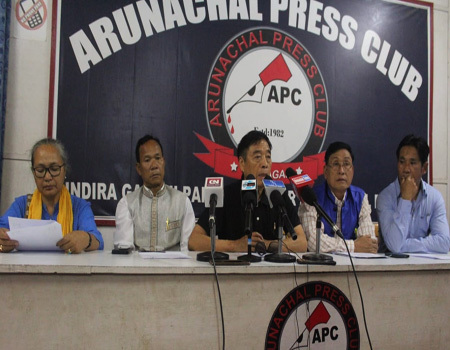 Noting that Arunachal, along with Nagaland, has earned a bad reputation in terms of corruption, Pema said it was time to come out of such menace.